Our names are Denise and Joanna. We are sisters, both married with young children. Our family has been running a touristic business in Laganas for many years. We ourselves were born and grew up in the tourism industry, so we have been familiar with this field since we were children. Over the years, we met a lot of visitors, listened to their stories and learned how to offer hospitality, care and service to people who want to gain new experiences on Zante Island. The most beautiful experience we are committed to offer our people is their wedding. We have already organized many, fair-minded ceremonies in every detail and our unique touch. Here in Fairytale Weddings Zakynthos each special wish is a personal task for us and that was the reason why we decided to deal professionally with the organization of weddings. As happiness and the smile on the faces of the newlyweds is our ultimate goal there is no limitation to the choices you make for the most important day of your life. We recommend, we guide and finally we organize in the finest way your own, absolutely free options for each element that completes and makes your wedding and reception unique. The ceremony of the wedding is particularly important for each happy couple. Thus, for all of you who have decided to live this unique moment on Zante Island, we are willing to become your experienced companion- guide who will plan for you the most wonderful wedding giving the promise that the most magical moment of your life, is going to be unique! We are an officially and legally registered company, specializing in the organization of weddings, able to turn your special wishes come true, here on Zante Island, together with your own people. In addition to our communication through telephone or e- mail, you can find us in our own office in Zakynthos Town (69 Kalvos Street) so that you can meet us and give us the opportunity and the pleasure to make your wishes come true living on Zante island the unique moment of your wedding, together with your own people the way you have imagined. As the great time of the cake comes, the exclamations of admiration for it are our goal. 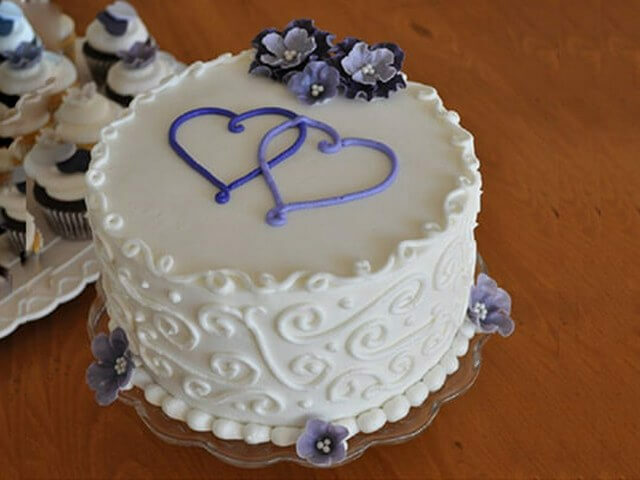 The best patisseries of Zante Island take over to create the special wedding cake according to your choices. High-quality cakes, decorated with designs, plain, white, chocolate, colourful or anything else you may have thought, are “just a piece of cake” for the hands of our pastry chefs, so that you can enjoy the first "sweet moment" of your wedding on Zante Island. We stand by you in every step and thus we are next to you when you choose the appropriate vehicle to take you to the wedding ceremony and the wedding reception. 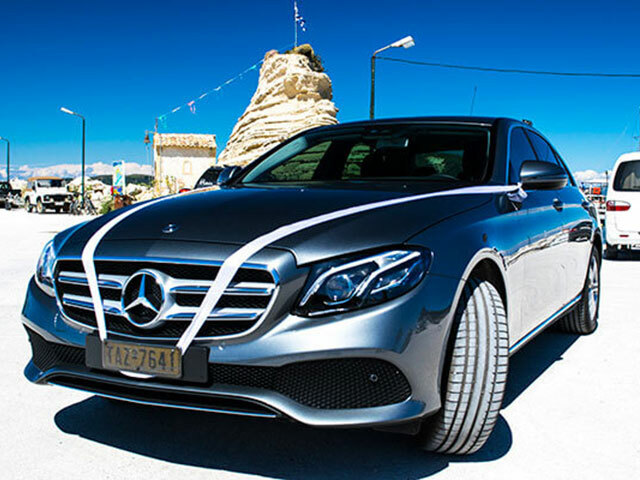 The car of your dreams, ready and beautifully decorated to welcome the newlyweds is prepared from us for you. 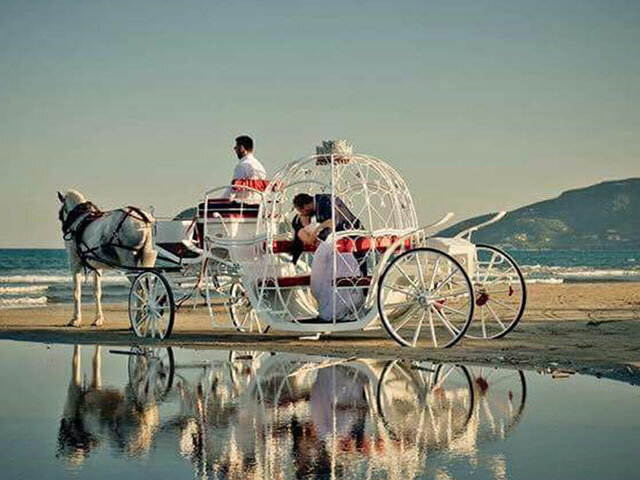 For the most romantic and fairy-tale weddings, the famous Cinderella's carriage is always available only to us on Zante to lead you to the dream ... with no fear of becoming a pumpkin ... the nicest carriage is ready for your steps towards the absolute happiness ... for the beginning of your fairytale on the most fairytale vehicle. 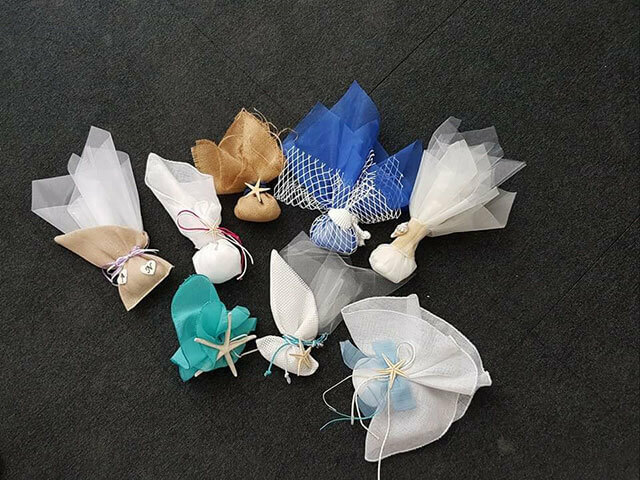 The bomboniere is the symbolic gift given by you to your beloved guests as a souvenir that reminds them they were present at your wedding on Zante. Still the bomboniere is a way to say thank you to the people who were there for you participating and sharing your happiness. The light symbolizes the happiness, the tranquility, the love and the glow we wish you to have in your life. 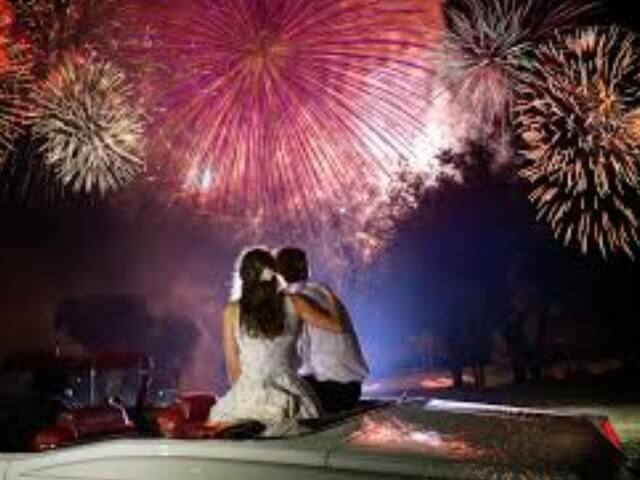 Together with the huge smiles on the faces, the fireworks will make your special day, your wedding day on Zante Island even more spectacular and bright. The stylish hair is still an important element not only for the bride but also for the other ladies present. Our experienced, professional hairdresser is responsible for giving you the hairstyle that you want to have. 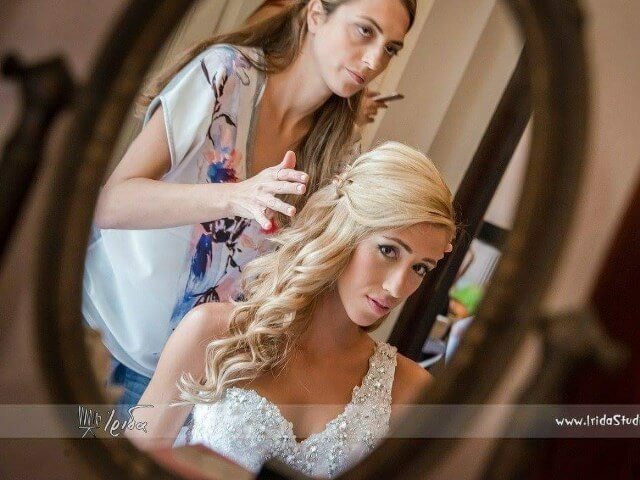 But besides the bride, the central face of the wedding, the hairdresser will do the hair of the co-stars like the mother and the bridesmaids, in order to “flood” the ceremony hall with elegant heads. The precious moment of exchanging the wedding rings, gives close-up photos of your hands, which we take on to be perfect when the time comes to put on the ring of your life, your wedding ring. Offer to yourselves manicure and pedicure therapies and relax while the beauticians will take care of your limbs. It is well known that the beauty comes from inside. The happier you are, the more beautiful you look on your wedding day, but there is always this magic touch that can help you shine even more. Our makeup artist can create dazzling effects on your already glowing face so that when the photographer captures your face during the wedding in unique frames, you will look at the photos smiling for your whole life. What is better and more relaxing than spending the day before your wedding at a spa center? We have the opportunity to arrange for you a visit to the best spa of Zante, where the experienced beauticians will take care of you in such a way that you will be the most relaxed, fresh and glamorous bride than ever, ready for the wedding day! Music is an important part of the locals and the zakynthian culture. The best bands of the island are at your disposal to play your wedding music and accompany your first dancing steps as married couple. Moreover we also have the ability to offer you any musical instrument you desire, during the ceremony and your wedding reception, while there is no limitation on the selection of the musicians or the band that will accompany you ... the choices are only own and absolutely free. We stand by you at every step of the planning, only to propose solutions and people. The balloons have always excited the little ones and made every big one feel like a kid again. 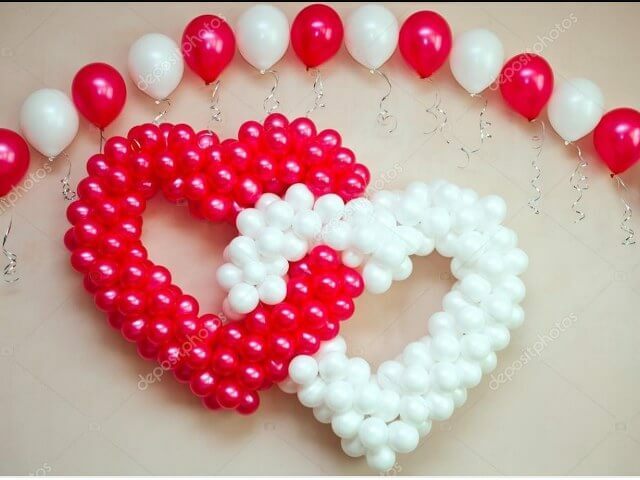 If the balloons make you smile even more, add them to your wedding decoration. The colours will make the place special as they can give a unique tone in the wedding reception area, if you wish. If you prefer a professional Dj to turn your wedding reception into a magical night with selected music and songs of your choice, our partners are at your disposal to discuss with them and choose the sounds that will accompany you during your wedding on Zante Island. 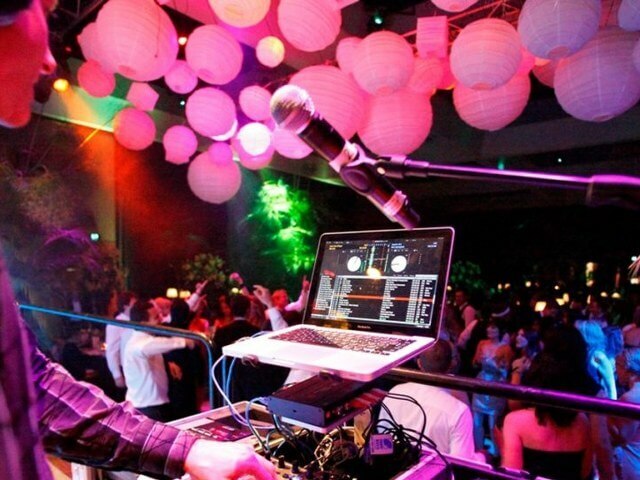 If again you prefer to have a professional Dj who will turn your wedding reception into a magical evening with selected music and songs chosen by you, then our partners, with their professional equipment ready to stand anywhere you wish, are at your disposal to discuss with them and decide the sounds that will be heard during your wedding on Zante. In case you have already found the Dj preferable, we will be very happy to meet him/her and work together with him/her, while we can help with everything he/she needs. According to the Greek people music must always be accompanied by dancing. Greek music is danced in a unique way with specific steps you can see and why not try together with the dancers we have the opportunity to offer you on your wedding reception. 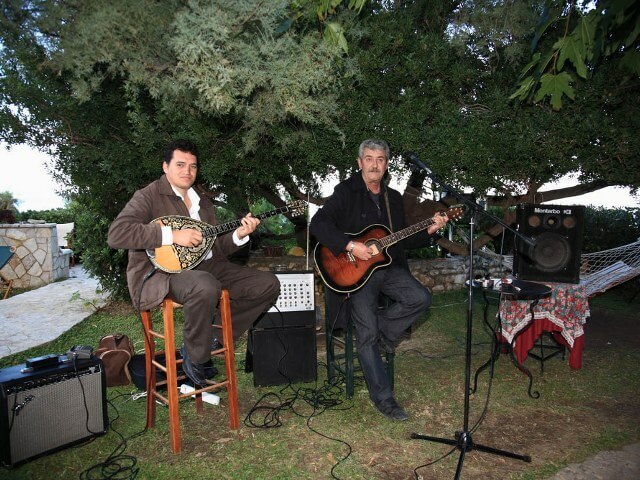 That way we can offer you a taste of the Greek culture and music. If you wish, let us show you the meaning of the word “kefi” for all of us on Zante who turn our weddings into joyful feasts.